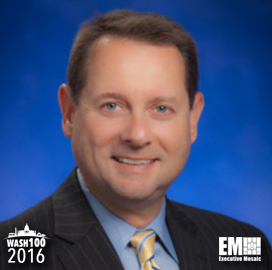 Executive Mosaic is honored to introduce Dave Rey, sales lead Salesforce.com‘s North American public sector business, as an inductee into the 2016 edition of the Wash100 — Executive Mosaic’s annual selection of influential leaders in the government contracting arena. Rey serves as executive vice president of sales for that business and leads efforts to support the global cloud computing technology company’s team that works with public sector customers in North America. In October 2015, Salesforce received Federal Risk and Authorization Management Program certification for its Salesforce Analytics Cloud platform that works to offer data intelligence to government agencies. The FedRAMP certification gives Salesforce an avenue to offer that platform with its Salesforce Government Cloud offering to public sector agencies. According to a blog post by Rey, the company’s analytics cloud platform aims to help government agencies get insights from large volumes of data for use in transparency efforts and decision-making processes. “The time has come to leverage analytics to solve once-intractable government problems and to empower individuals to uncover new solutions,” Rey said. Rey is a 17-year Oracle veteran who held leadership positions at the IT firm, including head of the federal software and public sector infrastructure businesses. He also managed public sector businesses at Booz Allen Hamilton and Falcon Microsystems and led logistics programs at the National Security Agency. Executive Mosaic congratulates Dave Rey and the Salesforce.com team for their selection to receive this award.